Festival of urban culture that brought together arts and created a modern playground in the city of a thousand year history. In 2008, a group of my friends and I started Architecture of Movement. All coming from different backgrounds, we were united by mutual passion for architecture. We saw some fundamental problems in the way our hometown was managed and developed. Yaroslavl (I challenge you to pronounce it!) has a thousand year history and a status of Unesco heritage sight which encouraged city officials to poor efforts into preserving the city, care little about the needs of young people. We took the matter in our hands and sought new ways for urban development that would account for both - the future and the past. Together we transformed parking lots, unkempt parks outside of city central, abandoned structures into the destinations for modern art. 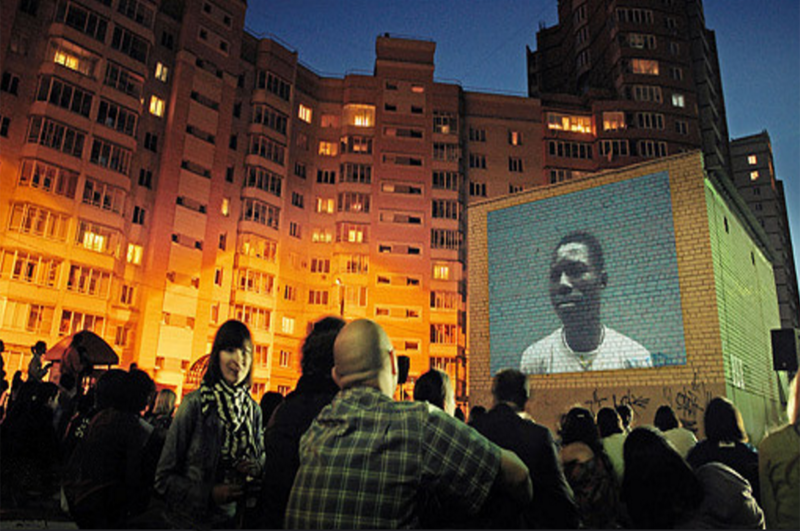 A month long festival took place each September from 2008 to 2013 and focused on the interaction between citizens and the city space. Our goal was to create new opportunities and platforms for creative expression. 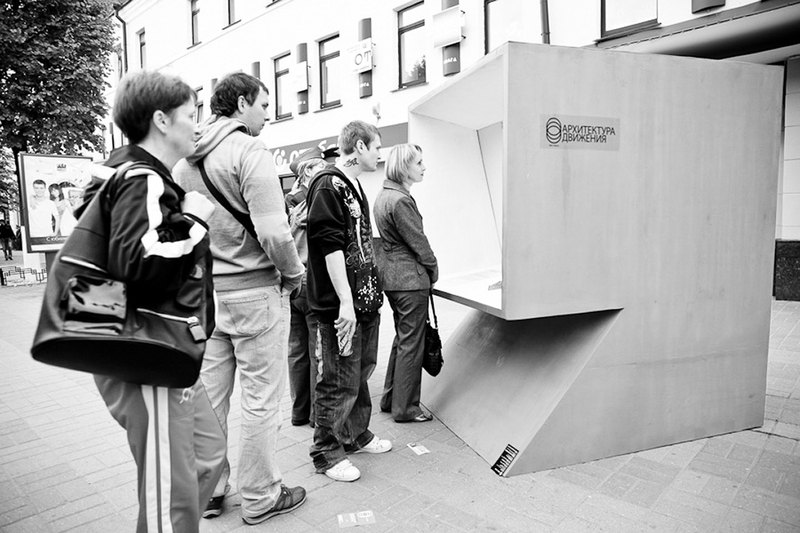 We generated and carried out ideas that helped develop the city as an open, modern and popular space. ARMV's program included cultural and urban workshops, multitude of dance and film performances, city walks, exhibits and many more. The results of the festival provided suggestions on how the city space could improve, how businesses and government organizations could collaborate and cultural platforms could be expanded. Here's just a few projects that we were able to realize as a part of the festival. People and Rhymes was one of the first exhibits I curated as a part of ARMV team. 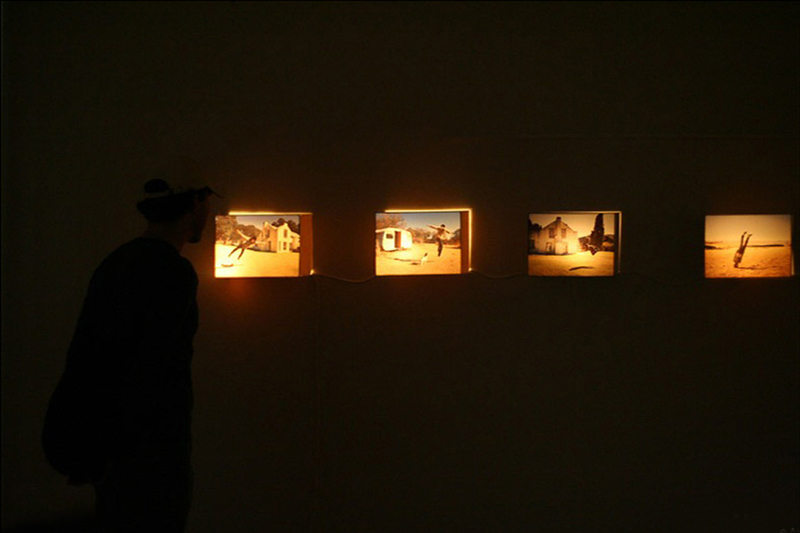 The exhibit featured works of Max Kutin, a photographer and filmmaker. Max and I had been collaborating on the photo series dedicated to the relationship of architecture, shadows, reflections and people and exploring the connections through mesmerizing patterns that they form. 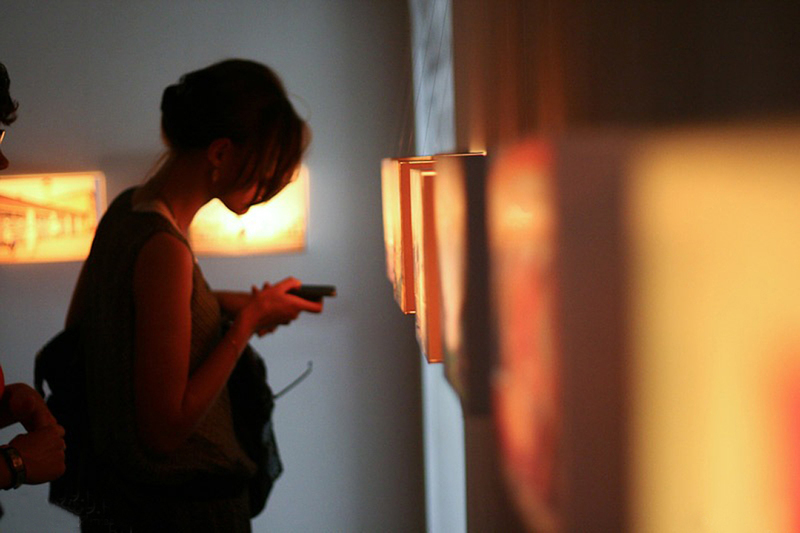 His works are very dynamic and full of contrasts, so I wanted it to reflect in the gallery space. 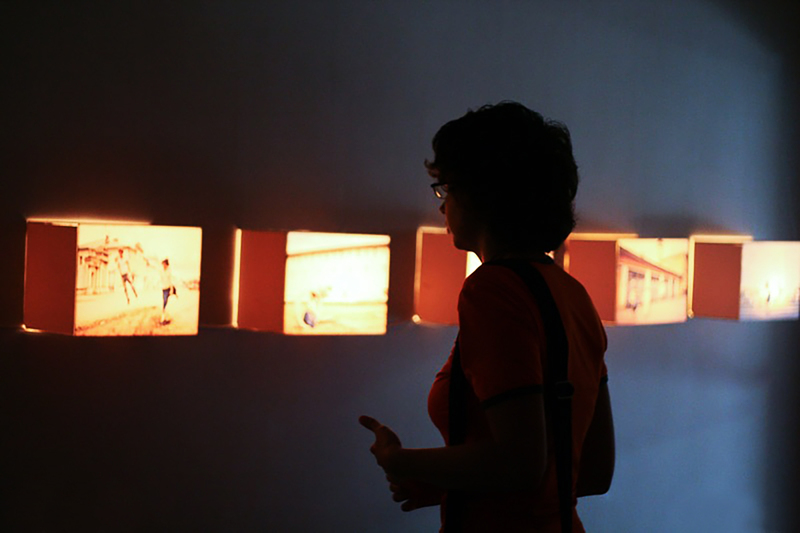 Each photograph was printed on a translucent plastic and enclosed in the specially designed light boxes, that illuminated the photos from within. The wall then were draped in black cloth blocking the outside light. The absence of light created intimate atmosphere and emphasized the photos as a single viewpoint. 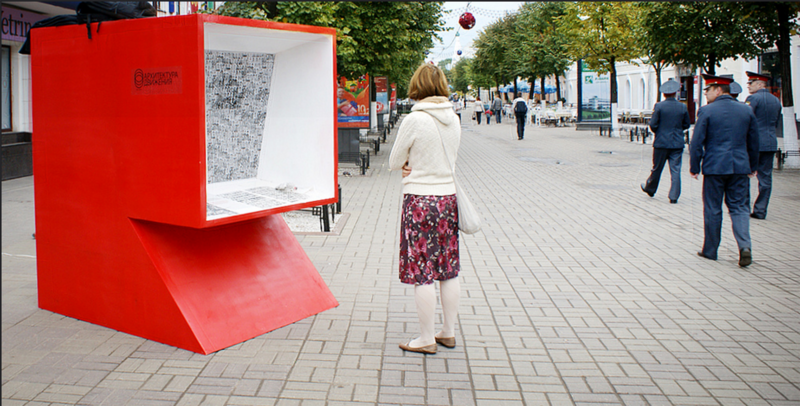 This project enabled citizens to see the faces of the city and nurture bonds between neighbors. 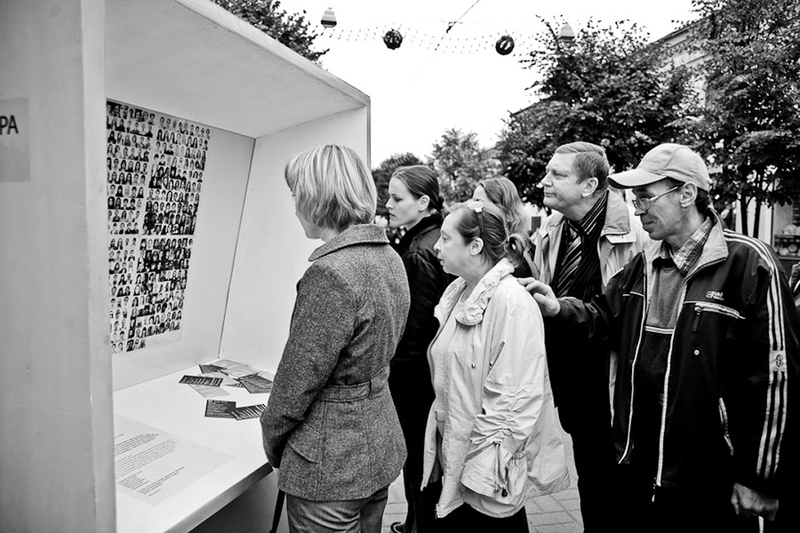 During the project, pedestrians were encouraged to share photographs of people they were proud of or who they thought represented the city. This generated a large collage that became the passport of Yaroslavl. 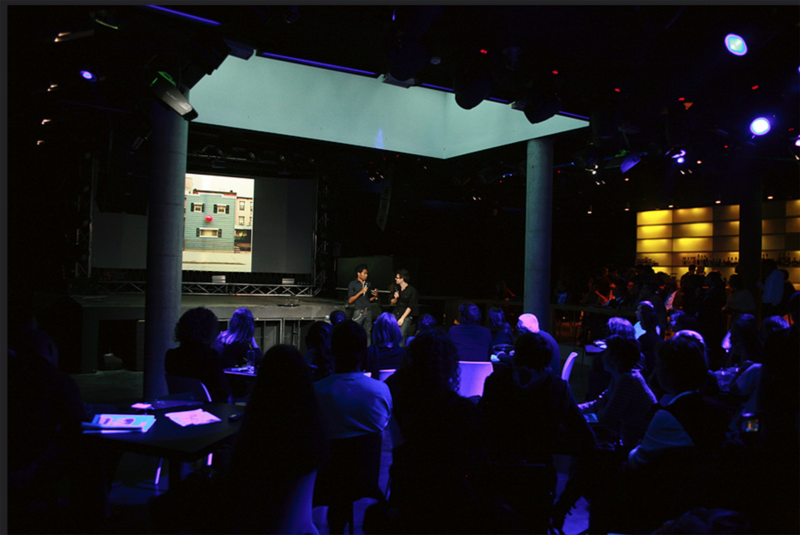 ARMV featured many workshops on urban planning, public art, dance, and social justice. In my hometown, celebrities of world status are rare birds! So the workshop on public street art by Henry Kendall, the director of NYC Department of Cultural Affairs, was one of the most talked about events of the year and sparked a movement of street artists. 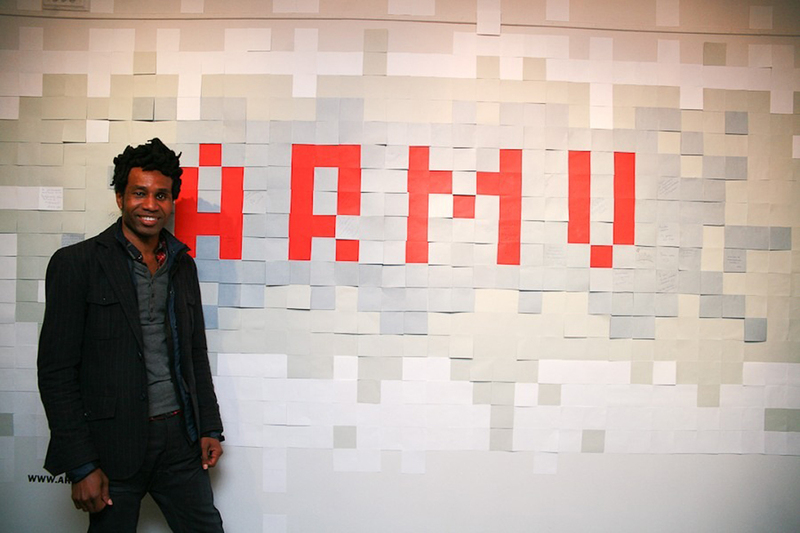 ARMV transformed many industrial, abandoned or simply underappreciated places into the art playgrounds. Our goal was to repurpose the spaces that otherwise would have been demolished or transformed into parking lots or highrises. Taking over the spaces for public engagements developed a new communal ground and encouraged support from the local businesses.